Students are often confused when viewing company financial statements (Income Statement, Balance Sheet, Cash Flow Statement) in different databases. The reason being, that the values displayed, for the same company, often don’t match. This confusion is understandable. Surely values for the same company, for the same statement, should be identical? In explaining this apparent anomaly, the primary purpose of specialised financial databases needs to be appreciated. That is, to provide data/information to allow analysis of many types of securities – different classes of assets, such as Equities – or companies. The key user groups are within business and commerce. However, there is sufficient useful content, to also be of value to educational establishments, and therefore students – but business users have priority. For example, when seeking to gauge the relative performance of two or more companies, from different countries, with different accounting standards, there is a clear logic in being able to compare on a like-with-like basis. Therefore, when looking at a value in an Income Statement, for example, it would be clear which company had superior performance. To compare companies otherwise, the so-called apples with oranges analogy, lacks transparency and is ineffective. Hence, the evolution of common methods for calculating accounting values in different databases, to ease comparisons between companies. 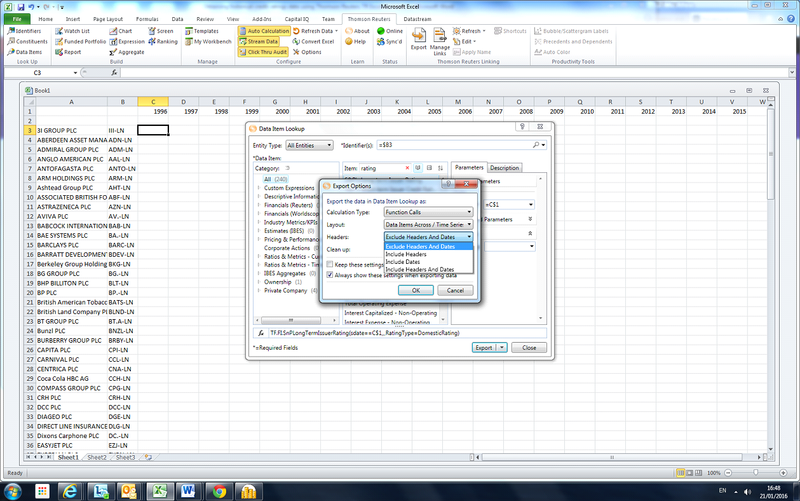 Bloomberg Professional and Thomson ONE.com databases both reflect this need, but use different terminology. A look at a company example is instructive. 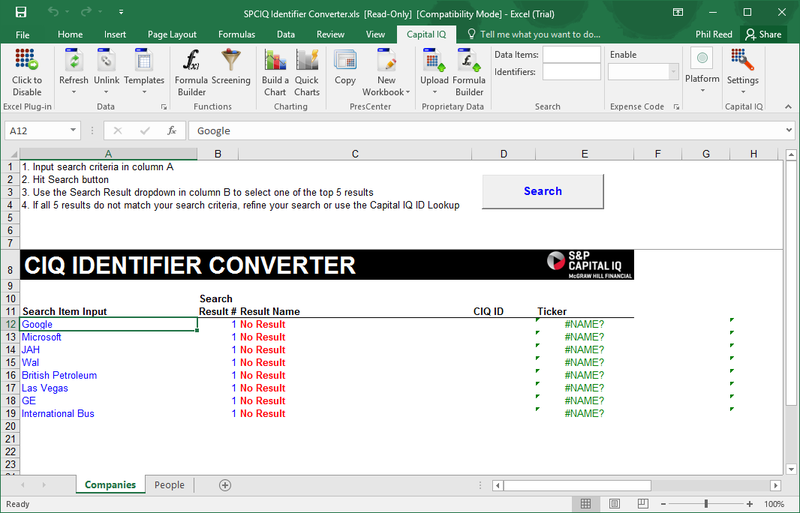 The Income Statement (‘I/S’) for Tesco PLC, a UK supermarket group, is set out below, using the Financial Analysis function, within Bloomberg Professional. Note that the tab towards the top left: ‘Adjusted’, is highlighted in blue. 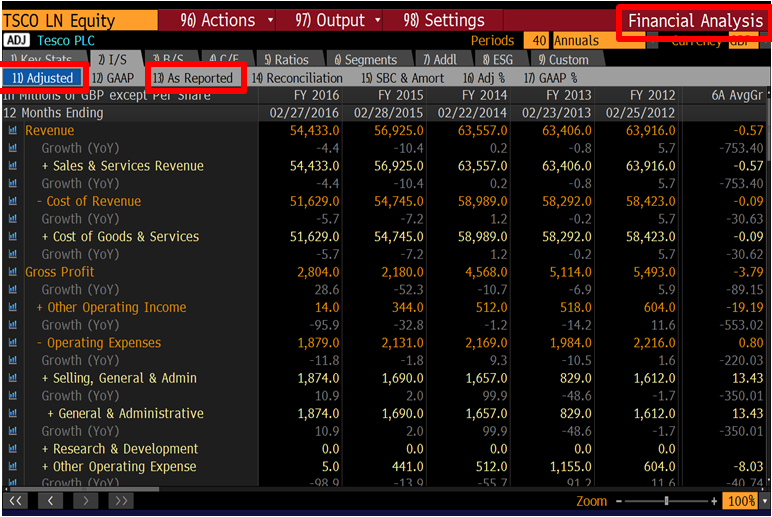 This is the default view, meaning this is how data is normally displayed for financial statements in Bloomberg Professional. Therefore, companies from different countries can be compared on a like-with-like basis, when the same currency is selected (top right of screen). In the example above, this is set to GBP, or Great Britain Pounds. Another option is also highlighted – the ‘As Reported’ tab. This selection would display values from the company’s official annual report and accounts. The ‘Report Format’ option on the left, gives the choice of ‘Company Specific’ (official values – annual report and accounts) and ‘Standardised’. When the ‘Standardised’ view has been selected and ‘Update View’ clicked on, the drop down menu to choose a common currency become available, thus allowing like-with-like comparisons, between different companies. The ability to quickly search for companies within databases such as Bloomberg Professional or Thomson ONE.com is an effective means to locate company financial statements and take advantage of like-with-like comparisons. 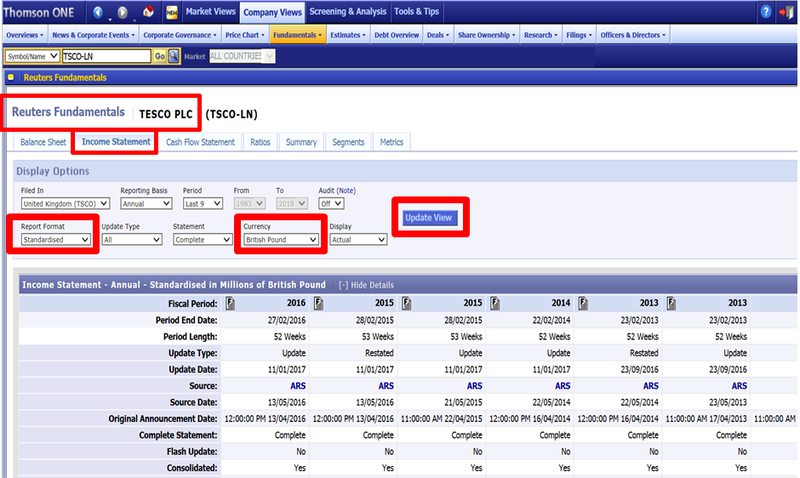 When viewing financial statements within databases, the realisation that a company’s annual report and accounts is the ultimate (official) source, represented by ‘As Reported’ in Bloomberg Professional and ‘Company Specific’ in Thomson ONE.com, can help to avoid confusion for students, in conducting company analysis. 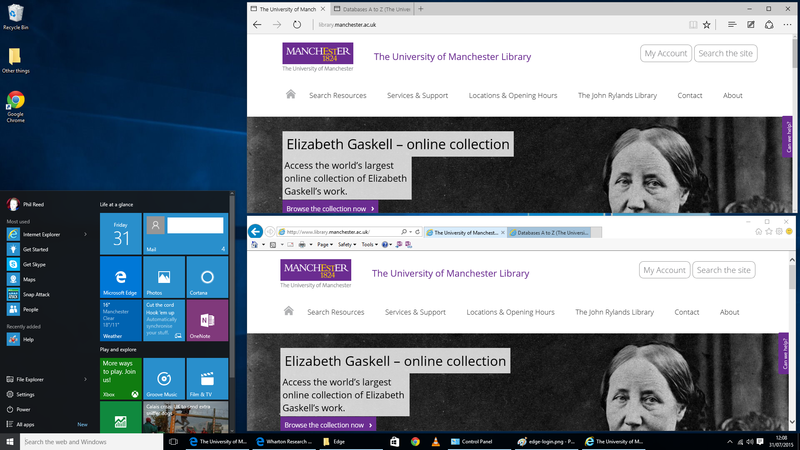 Bloomberg Professional and Thomson ONE.com are databases available to current students and staff of The University of Manchester. A student recently asked the following: ‘how do I get a list of the top 10 companies in the pharmaceuticals area?’. What ‘top 10’ means, or is meant to mean, is a little fuzzy…could this be ordering by turnover (sales), number of employees, earnings per share or other measure? Upon further questioning, the size of the company, represented by Market Capitalization, was deemed acceptable. In addition to this, the relative position of a specified company (Glaxosmithkline: GSK-LN) was queried. One possible approach is to search for the specified company and see what options then present themselves. By typing the company name or ticker code (GSK-LN) in the search box at the top left of the screen, it is possible to select the appropriate option from those displayed. 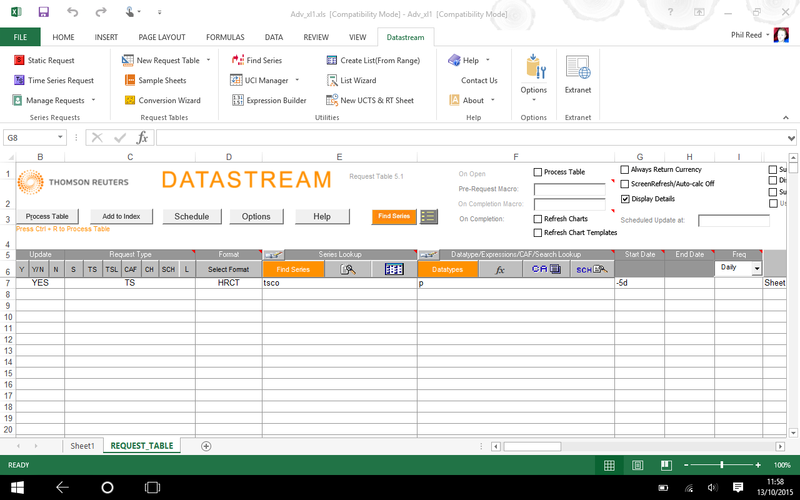 This gives a Company Overview screen to start. 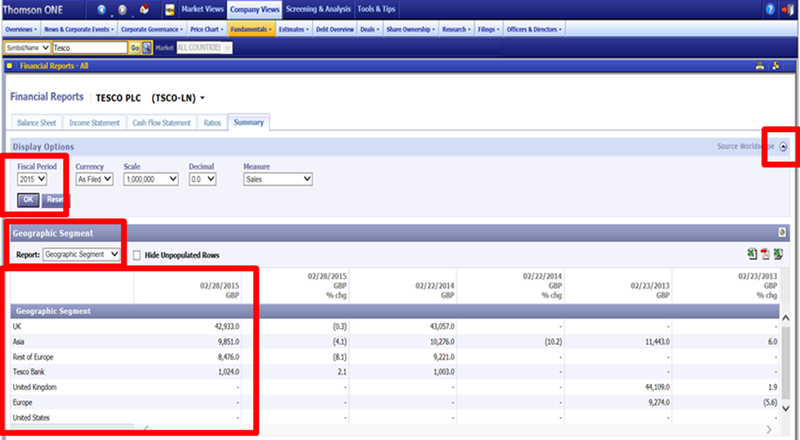 By entering ‘Pharmaceuticals’ within the Business Description field and ‘greater than or equal to 5000’ within the Latest Market Cap ($Mil) field [Stock & Earnings Criteria section], then clicking on the ‘Search’ button, this gives 66 results. Selecting the column title (‘Market Cap’) orders the companies by this field’s values. 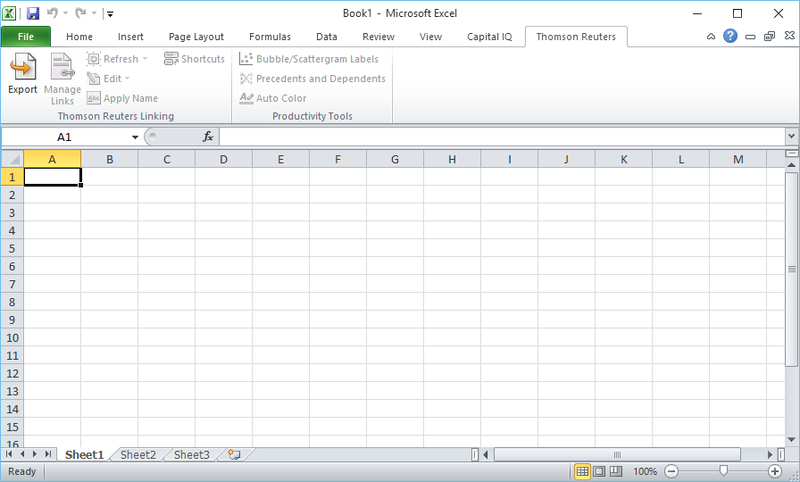 The Excel icon allows data export. Glaxosmithkline appears at number 6 in the results. A particular concern with this list may relate to how precisely ‘Pharmaceuticals’ matches with companies which are so classified. For example, 3M, which appears at number 5 on the list, makes many varied products, and isn’t primarily thought of as a pharmaceutical company. Another alternative is to try features within other databases – for example, Bloomberg Professional. Another potential choice would be to use the Equity Screening function (EQS). 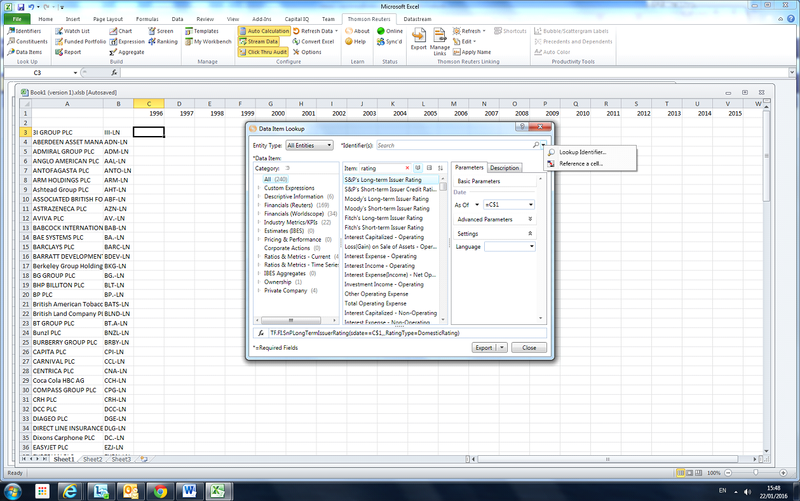 This allows companies to be selected according to the Sectors (or sub-sectors) to which they are assigned. There are a number of other categories which can be used to refine a search, if so desired. By clicking on ‘Results’, a listing is displayed, sorted by the default data field – Market Cap(italization). The currency is not clear at first sight. However, by hovering the mouse pointer over the column title (Market Cap), a pop up box confirms details: Currency: GBP, representing Great Britain Pounds. Glaxosmithkline appears at number 10 in this listing. Interestingly, 3M doesn’t appear within the top 21, reflecting the earlier comment on categorisation of companies in different databases. So, Equity Screening within Bloomberg Professional and Screening & Analysis within Thomson ONE.com databases have provided a listing of companies sorted by Market Capitalization and represent a reasonable solution to what was initially a difficult question to address. Thomson ONE.com (from Thomson Reuters) and Bloomberg Professional are available to current students and staff of The University of Manchester. Company and Industry Comparisons: [10 July 2015]. The ability to locate results by geographical location can be troublesome when having to consult multiple copies of a company’s Annual Report & Accounts. Using a business database can make this task quicker and easier. 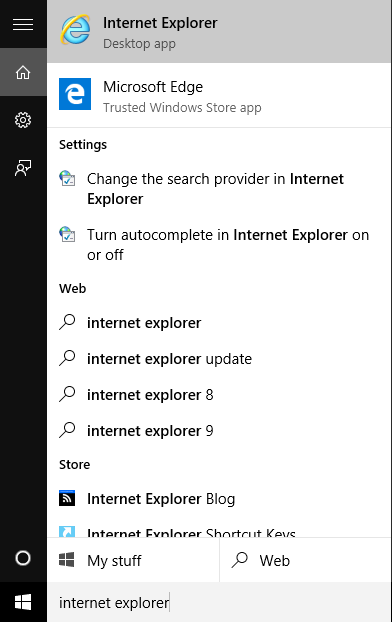 To get the best out of this database, it is useful to know that it is designed to work with the Internet Explorer browser. 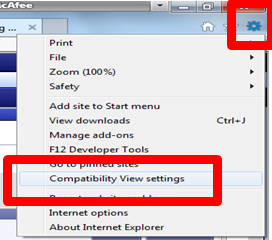 In addition, it is advisable to select ‘Compatibility View Settings’ from the tools menu (represented by the ‘cog’ icon, then ‘Add’ and ‘Close’) to ensure all options display correctly. 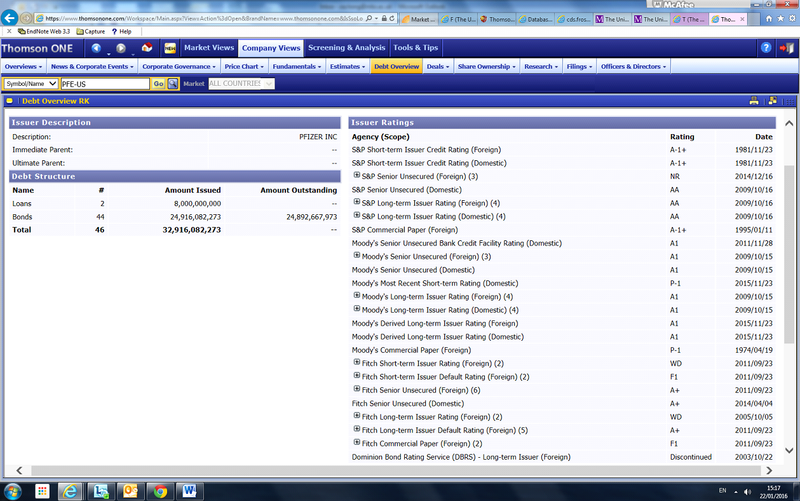 Next, click on ‘Full Summary’ from the Company Overview screen. From the Financial Reports page displayed, it is possible to reveal more search options by selecting the small icon towards the upper right of the screen. With the ‘Summary’ tab selected at the top of the search screen, the Report categories available include Annual Key Items, Interim Key Items, Interim Key Items TTM, Business Segment and Geographic Segment. For ‘Geographic Segment’ this means that data (‘Measure’ options: Sales, Assets, Capital Expenditure, Depreciation and Operating Income) are available for those areas in which results are reported, for a given year. 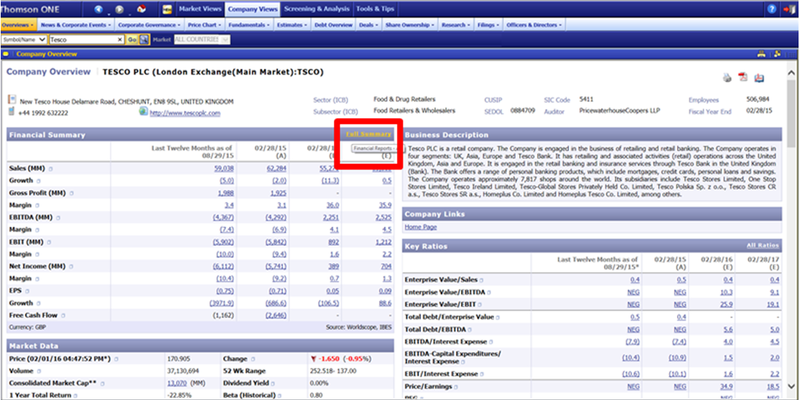 In the case of Tesco PLC for Fiscal Period 2015* above (looking at data for the 12 months to 28 February 2015, displayed in US date format: 02/28/2015), this includes the UK, Asia and Rest of Europe. 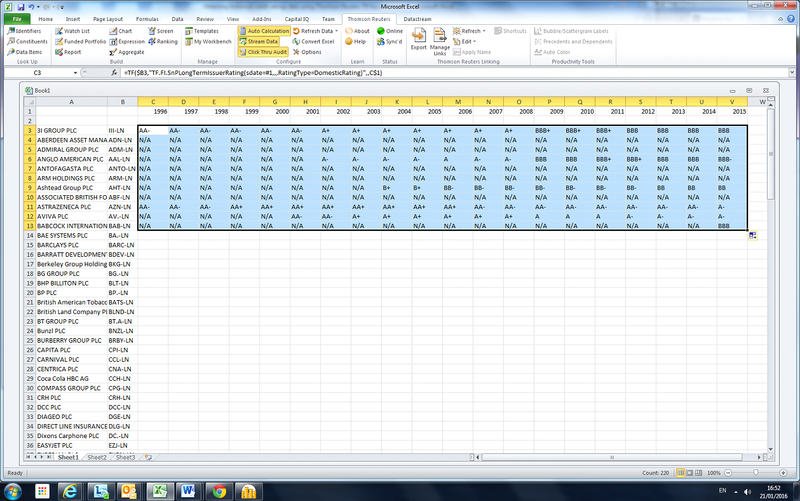 Repeat the process for each year by selecting a new year and clicking on the ‘OK’ button to display data. 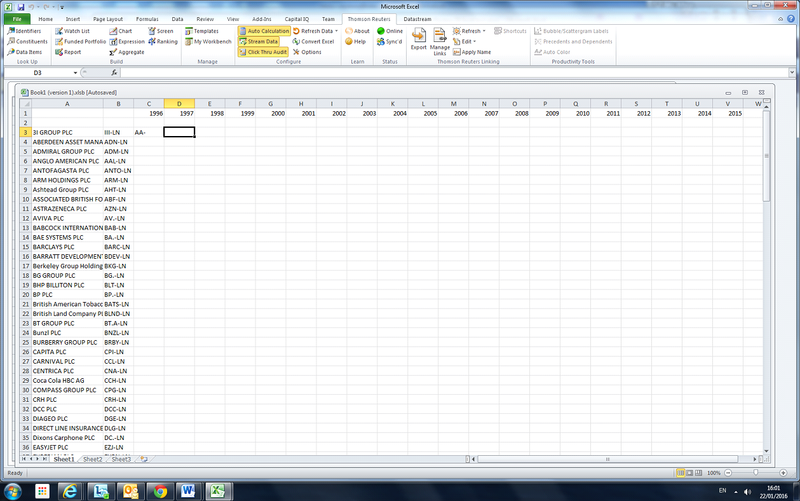 For individual financial statements, select the appropriate tab at the top of the screen. These include Balance Sheet, Income Statement and Cash Flow Statement, with (Report type ‘Annual’ showing) data for 5, 10, 15, 20, 25 or All years. 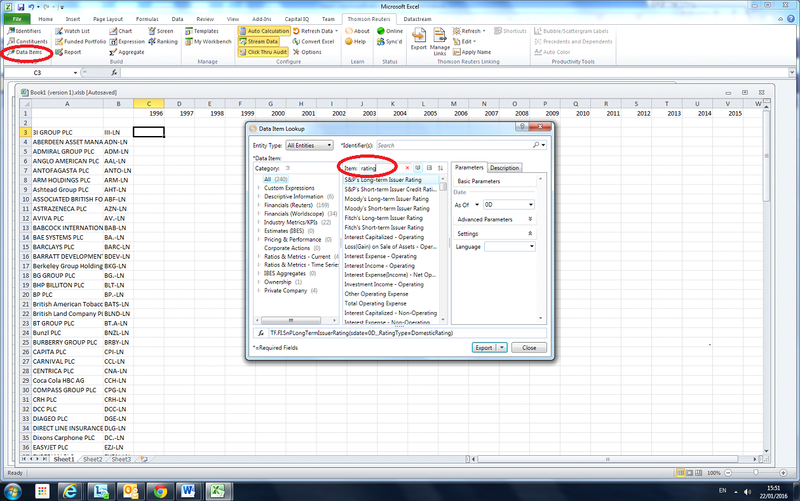 Clicking on the small square icon at the end of an item in the financial statement being viewed will provide a pop-up window with a definition. 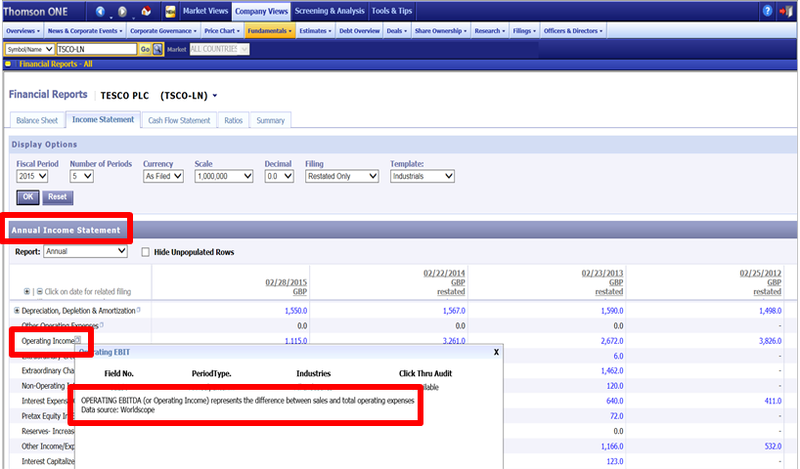 For example, in the Income Statement for Tesco PLC above, ‘Operating Income’ is defined. *Fiscal Period: the period a company uses for accounting purposes – reporting results. In the case of Tesco PLC, March to the end of February.